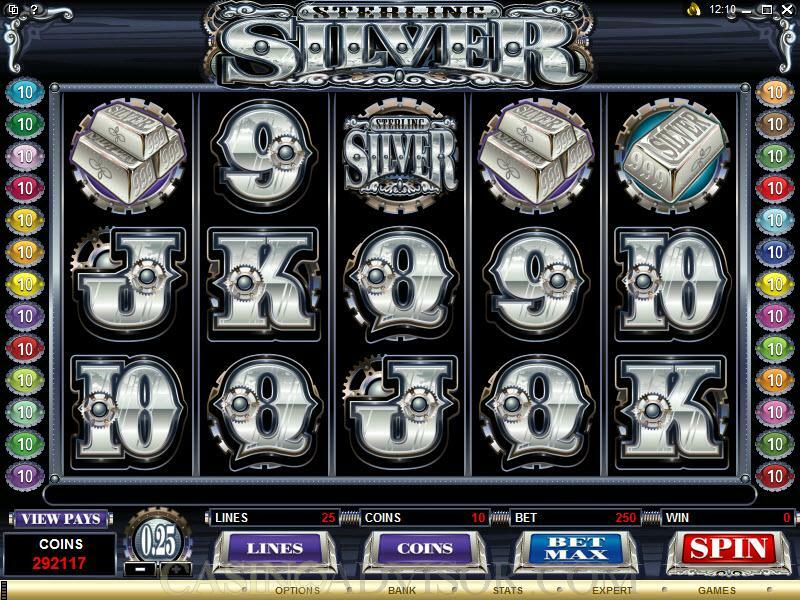 Microgaming has released yet another wonderful video slot game in the form of Sterling Silver Slots. 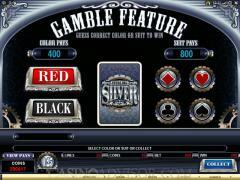 This slot game has 5 Reels and 25 Pay-lines with a silver theme. The theme is reflected in everything in the game from the layout to the background and even the sound theme. Though this is a relatively new game, it is still very popular in casinos, although not all casinos feature this game yet. The game is truly eye-catching, with everything from the reels to the symbols being embossed in silver. This game is definitely all set to take the slots playing world by storm. There are only a total of nine symbols in this game, but these symbols make up all the 24 winning combinations. Of the nine symbols, the majority of symbols (six) are made up of standard card faces. These poker hand symbols range from Ace to Nine and are very impressively designed in sterling silver. The fact that there are fewer symbols means that there is a higher chance of obtaining a winning combination, and since all the winning combinations have decent payouts, this game is truly a joy to play. 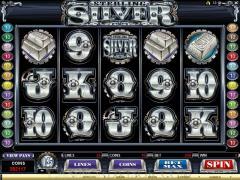 In Sterling Silver Slots, players can choose to wager coins with value ranging from 0.01 to 0.25. There are 25 pay-lines in this game, and players can wager anywhere between one and 10 coins per active pay-line. Each new coin activates a new pay-line, and the maximum possible bet is 250 coins, which is $/£/€ 62.50 per spin. The minimum amount that must be wagered per spin in order to play the real money version of the game is $/£/€ 0.01. 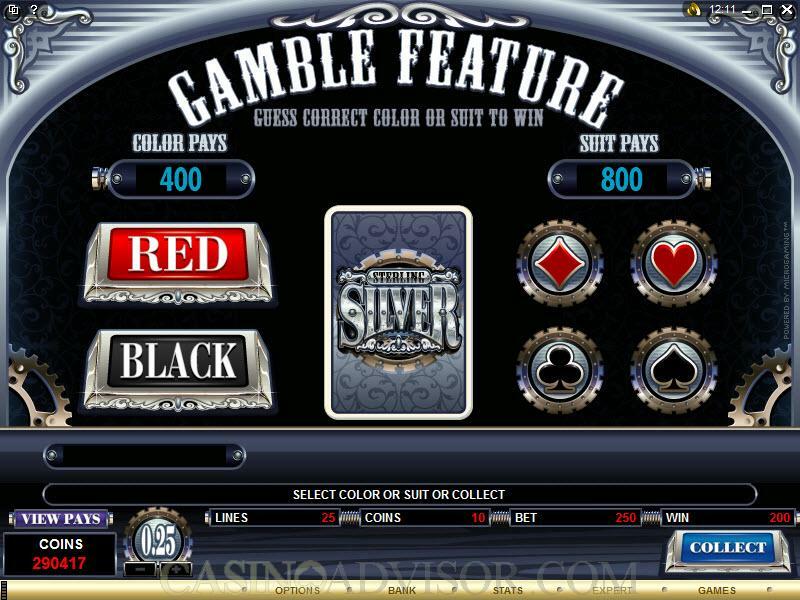 Most casinos offer Sterling Silver as either a downloaded game, or in an instant flash version. In order to get a feel of the game, casinos also offer a free version of the game, but it is not possible to win free money while playing the free version. This game is more suited to the low and mid-rollers, and high rollers would prefer to play in a game that had higher stakes. This game has a wild symbol that substitute for all other symbols to complete a winning combination. The symbol in this game is the Sterling Silver symbol. This symbol only appears stacked on the centre reel (3rd Reel). This means that many of the winning pay-lines are activated when the stack appears on the screen. When the Sterling Silver symbol completes a winning combination, the payout will be multiplied by a random multiplier ranging from 2x to 10x which is displayed on the screen. The Sterling Silver Scatter symbol is another special symbol. This symbol appears scattered on the reels on reel #2, 3 and 4. When there are three or more scatter symbols, the free spin round is automatically activated and the player is rewarded 15 free spins. The free spin round does not have any special multipliers. Sterling Silver also has a gamble feature. This feature allows players to either double or quadruple their winnings. When a winning combination occurs, the player has the choice to gamble. If the option is taken, the player is taken to a second screen where he/she can choose either a suit or a color. The right color choice results in the player doubling the win, and the correct suit quadruples the win. Interested in reading more detailed information about Sterling Silver? If so Click Here for more details.